I still haven't gotten around to checking out Deception IV: Blood Ties yet, even if I did try one of the earlier games to get hyped for it. I'm still trying to determine if these games just make a riot of a trailer or if they are genuinely fun to play. Deception IV: Another Princess is an expansion pack version of the original game, granting all sorts of customization options, new traps to toy around with, a roster of princesses from the older games, and a brand new story. Seems like one for the fans rather than a newcomer to all of this madness. One addition I do fully approve of and would like to try out is a modern day Japanese high school setting. 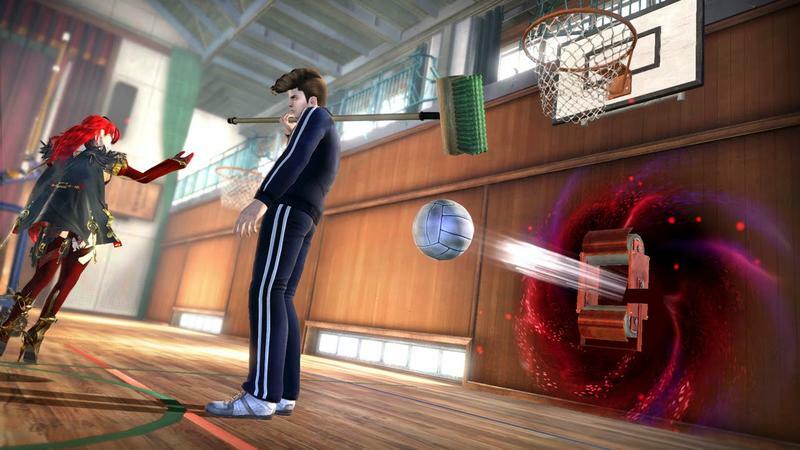 In this new mode, Deception IV's medieval torture devices have been replaced with gym equipment, and our violent princess uses it to ward off a gang of threatening bullies. Of course, we are granted with hilarious results. Deception IV is still on my radar, but my backlog is just a little too long to give it the time of day right now. Plus, it's still sitting high and mighty at a full $60 price after being on the market for a year. I'll wait for that to drop a little bit be it through price cuts and sales. Deception IV: Another Princess is in development with the PlayStation 4 in mind as well. In the meantime, more trailers please!